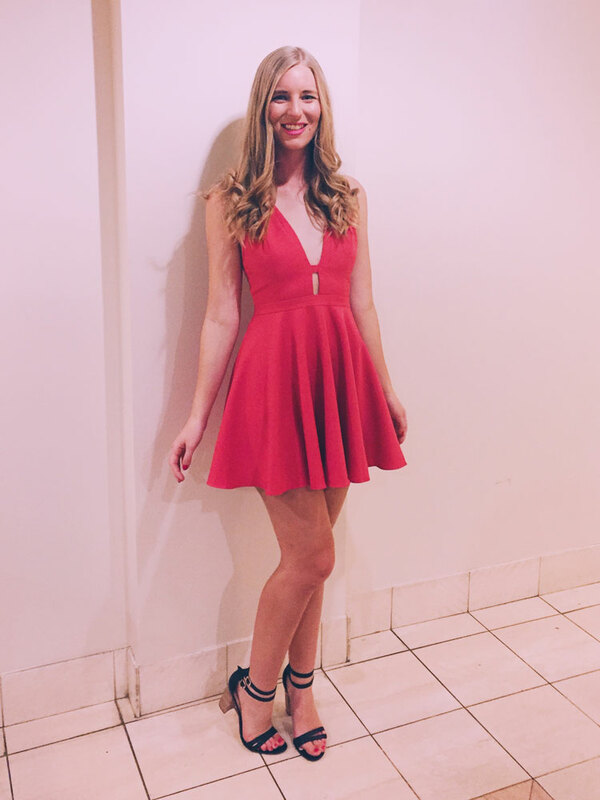 Lake Tahoe was lovely, but this was my last spring break, so I knew I had to go out in style. And since I did Mexico last year, what better place to party it up than Vegas? 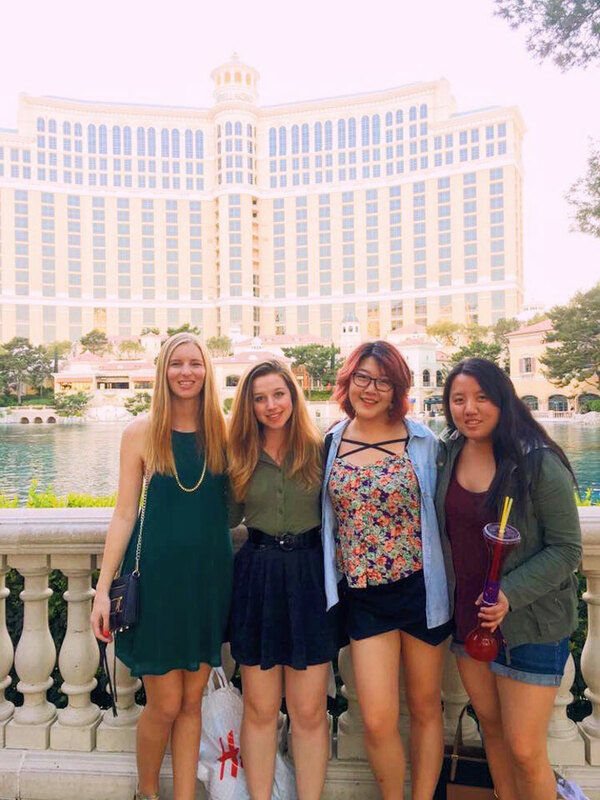 We landed around 9pm from Reno, and since we were still exhausted from skiing, we decided to take it easy the first night and just get a taste for Sin City. Our hotel was conveniently attached to the Cosmopolitan, so we got some drinks there and called it a night relatively early (as in, in bed by 1am). 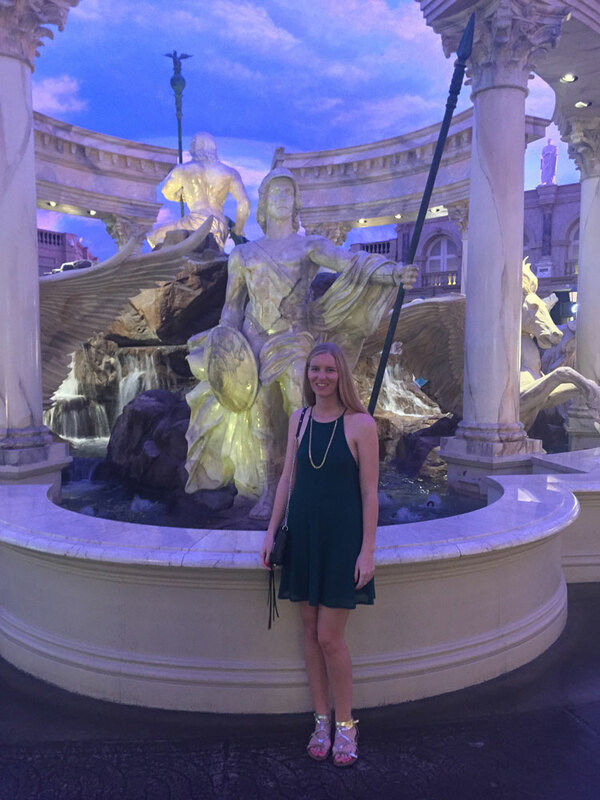 The next day we ventured over to Bacchanal at Caesar's Palace for a glorious feast truly fit for the gods. I ate cheeses, prime rib, lobster bisque, and countless types of sushi. 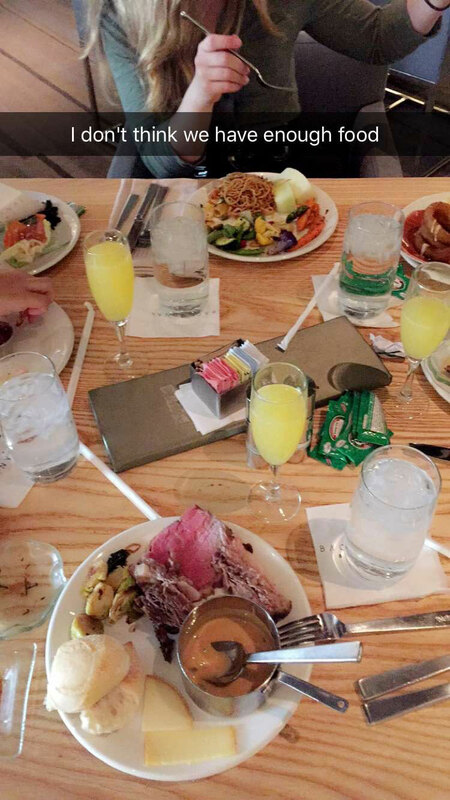 Oh, and bottomless mimosas too! To walk off our food bellies we wandered around the casinos for a bit (I lost $20 in blackjack and that was the extent of my gambling) and then did some shopping at the Forum Shops. Like everything at Caesar's Palace, the decor was all classically-inspired, and there are plenty of shops for all price points. 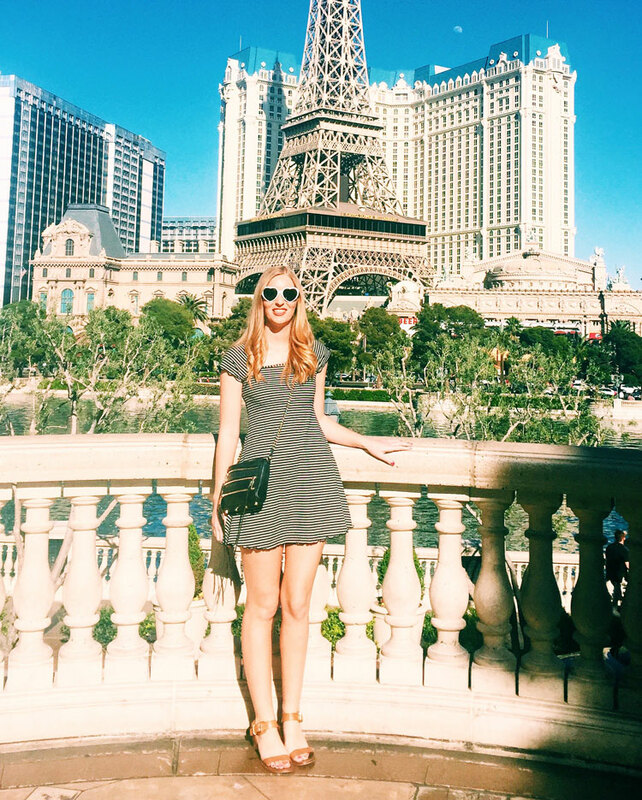 Travel tip: if you're looking to get a nice designer piece, Vegas is the place to do it because they have a lower sales tax! 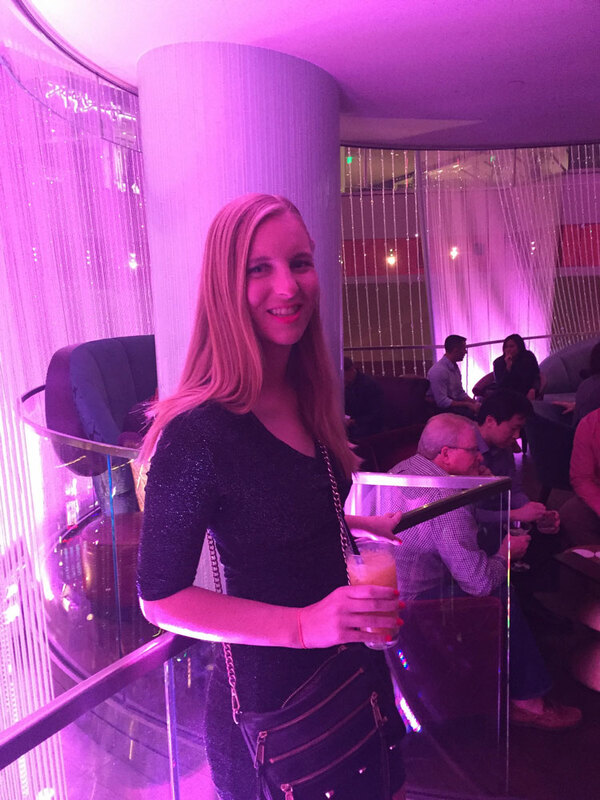 That night we went out to Hakkasan nightclub at MGM Grand to see Calvin Harris perform a live set. It was really fun but ohmigod I don't think my feet have ever hurt so badly after a night out. We arrived around 10pm to make sure we could get in, but Calvin didn't go on until 1:30am, making for a lot of standing around. 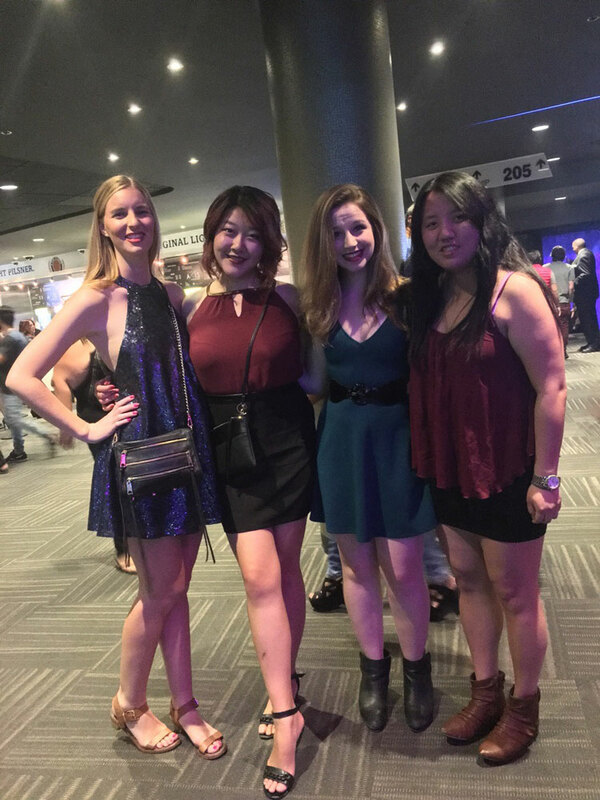 It was all worth it though because it was an amazing set, plus, I got to wear my brand new dress from Revolve! 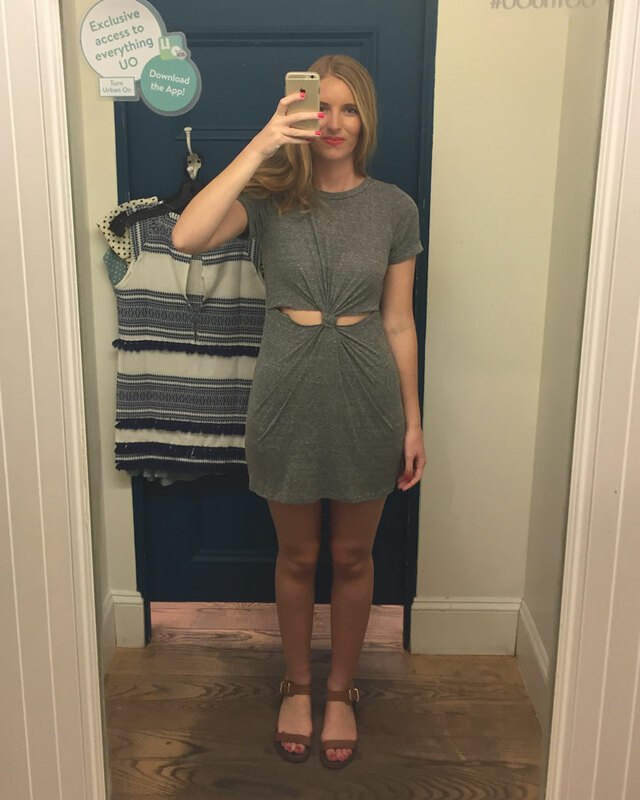 Found a new dress at Urban Outfitters! The next afternoon we did some more exploring, checking out the Bellagio, Planet Hollywood, Aria, and the Paris hotel. 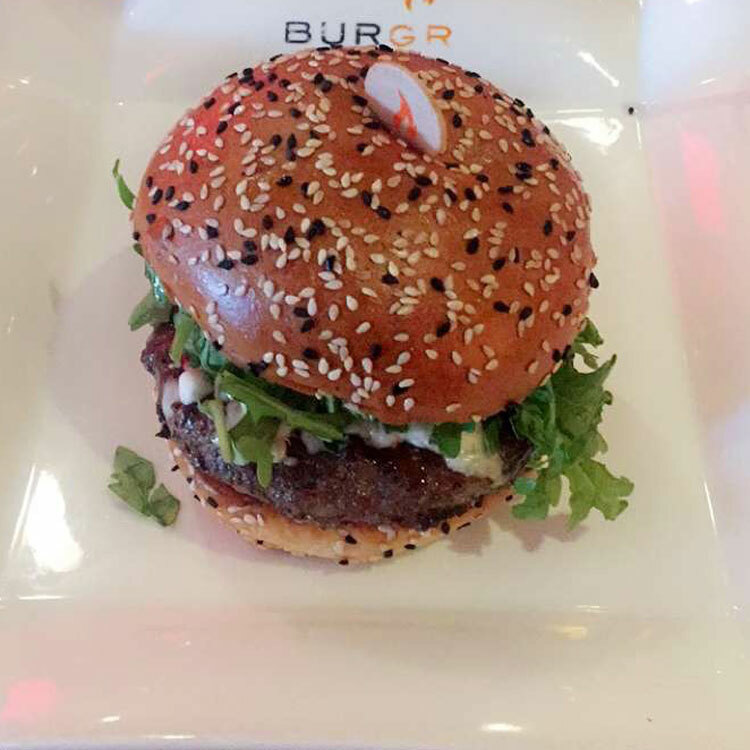 For lunch we grabbed burgers at Burgr (make sure to get their onion rings!) and while waiting for a table I popped into Urban Outfitters and found this T-shirt dress I had been admiring! 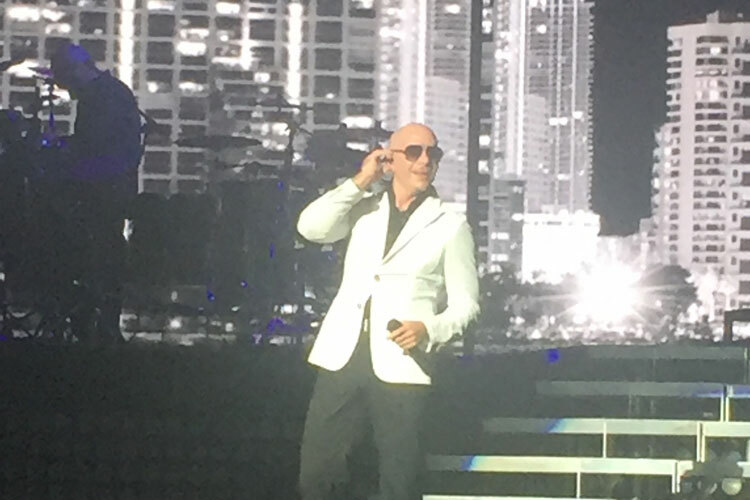 All I can say is "Dale"
For our last night in Vegas we went to the Pitbull concert (yes, seriously). 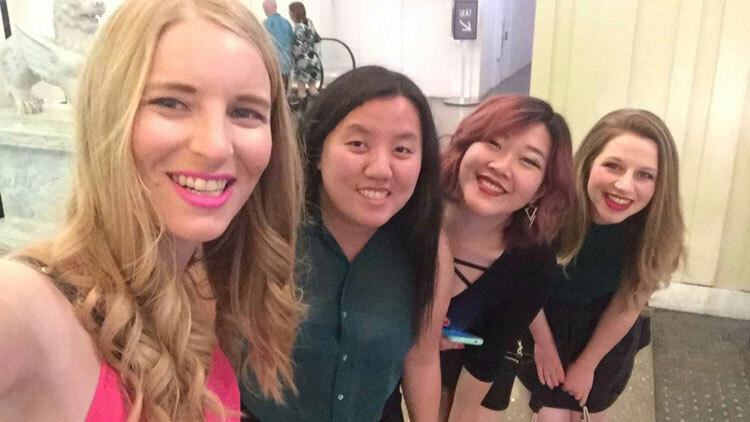 My friend is an unashamed true fan and while I agreed to go mostly because the rest of my friends bought tickets, I must admit, unironically, that it was an amazing show. What a man, that Mr. 305. 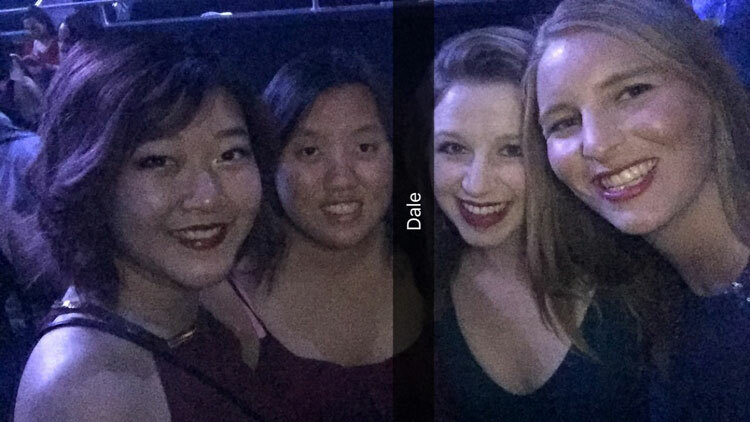 After Pitbull we went to Marquee back at the Cosmopolitan and danced the night away to Dash Berlin. Woke up the next morning with just enough time to catch our ride back to LA! How fun! I haven't been back to Vegas in years! It was quite fun! Definitely good in small amounts! Thanks for reading, Jeanie! !